This DVD is over 40 minutes of detailed instructions in high definition quality DVD footage that takes you step by step through getting your E9th. and your C6th. 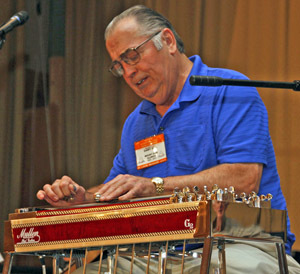 pedal steel in tempered tuning. How to use the SE9 setting on the Peterson tuner to properly temper tune your E9th. pedal steel. We tune the open strings according to the tempered tuning with the Peterson Tuner and then proceed to tune the A, B, and C pedals then each of the 5 knee levers using the new SP9 setting. After tuning the E9 neck you would go to the SC6 neck setting on the new Strobo PLUS HD Tuner and tune the open strings, then go to the new SP6 setting for the pedals and knees on the C6 neck. This is strickly a how to video so there is no doubt after you are done, the Peterson gets your steel sounding the best and in tune. Why fight an out of tune pedal steel when this is a simple procedure easily learned and outlined on the DVD. After you have done it one time, then you just do a touch up occasionally on your steel to keep it sounding great as it should. Why be an out of tune player, when you can sound so much better by playing in tune with other instruments such as a keyboard, piano, bass, violin, or guitar. An explanation is given why this is the standard tuning method used by most steel players around the world. are included with the DVD. Let us send you out one and get others complimenting you on your playing and sound. 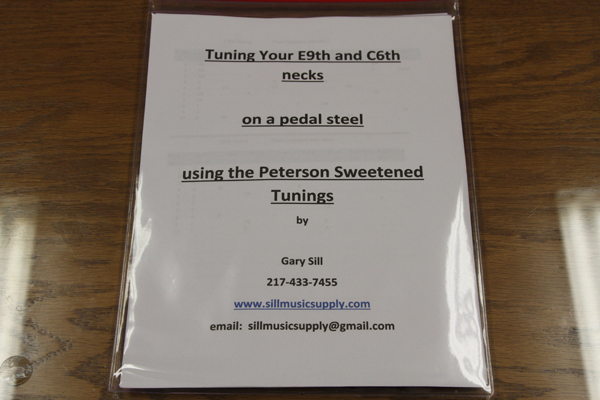 We are also a Peterson Dealer and can you may purchase any of their great products to make your tuning life much easier! I carry new swivel mount bracket to properly fit either the Strobo PLUS HD or the Strobo Stomp Classic to the leg of your pedal steel. See the other listing on the swivel leg clamp. 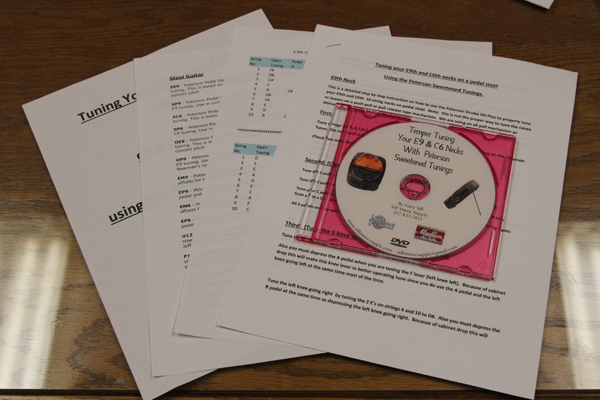 Customers I have sold this DVD instruction to have offered very positive reviews, very helpful information that let's you play in tune. This DVD will work on a computer or DVD player. We have available the E9th Course video that gives you a method of easily finding the backup notes and fill ins behind a singer and also gives you a simple way to find the melody to your most favorite songs you desire to play. This video will be a game changer and a life long guide to playing the pedal steel much faster and with a lot easier than you would expect. 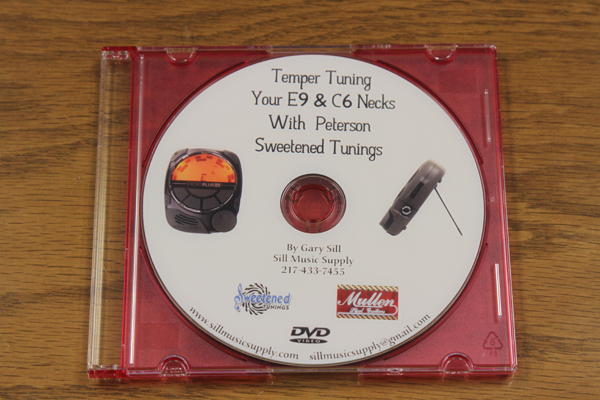 The new DVD of mine is now available on how to begin learning the E9th. pedal steel. Check our listings. Get them both and be off to the proper start in learning how to play the pedal steel in tune and with a method.